Is this the beginning of the end for e-cigs in the U.S..? It sounds like a hammer might be coming down very soon, one way or the other. The FDA is really ratcheting up the rhetoric level against e-cigarettes this week, with FDA Chief Scott Gottlieb saying new data that is soon coming out is showing that the problem of e-cigarette use by teens has grown far worse. They sound serious. I get a little jaded that the FDA will do anything about nicotine products, but I’ve never seen such strong governmental rhetoric against e-cigarettes before. Whoa, 60 days, so that will be mid-November. And they’re going after the big boys. Blu, Vuse, MarkTen are about 75 percent of the e-cig market, not counting Juuls. This new sense of urgency toward e-cigs appears to be driven somewhat by concerns over the exploding use of Juuls. Juuls are a relatively new kind of e-cig that look like a flash drive and are powered by actually plugging them into a laptop computer. They’re incredibly popular with kids. Keep in mind, this issue here isn’t that e-cigs are as bad as cigarettes. But,they are a nicotine-delivery system and they are effectively getting teenagers physically addicted to nicotine. And nicotine addiction is a bad thing in of itself, regardless of the delivery system. And the issue here is e-cig companies have been BRAZENLY marketing e-cig products to kids for years. I know I’ve been railing about it for years. So, stay tuned. The end could be nigh for e-cigs. Got mixed feelings on this one and I definitely need to get more information to have a hard and fast opinion. 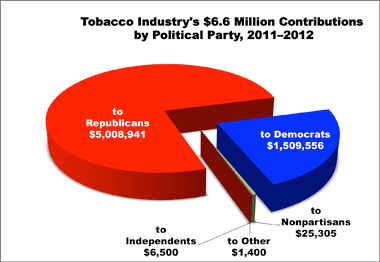 Seriously, considering who is the president right now, I’m amazed the FDA is going after Big Tobacco at all. Which makes me paranoid that this is some kind of end run that will end up actually helping Big Tobacco. How, I’m not sure, but I cannot trust this administration. It doesn’t help my paranoia that the tobacco industry is weirdly applauding the measure. I’d feel more comfortable if the industry was openly freaking out about this. Anyway, without getting into conspiracy theories, right off the bat, I have two thoughts. If you simply reduce the level of nicotine, won’t that prompt smokers to smoke more in order to get the same level of nicotine they got prior? Remember, these are people already addicted to nicotine. I have no science to back this up, it’s just a thought on my part. I CAN see a benefit that lowering nicotine drastically will make it much more difficult for young smokers to get addicted to nicotine to begin with. There is some science to back up this point. Within five years, another eight million fewer people would smoke, and by 2060, the smoking rate in the United States could drop to 1.4 percent, down from its present level of 15 percent, said the report. Anyway, interesting times. I will definitely keep an eye on how this turns out. I expect it will be a while and I expect Trump will be long gone before it comes to any fruition.